Roseberry Topping is a distinctive hill on the border between North Yorkshire and the borough of Redcar and Cleveland, of which it has long been a symbol. Its summit has a distinctive half-cone shape with a jagged cliff, which has led to many comparisons with the much higher Matterhorn in Switzerland. 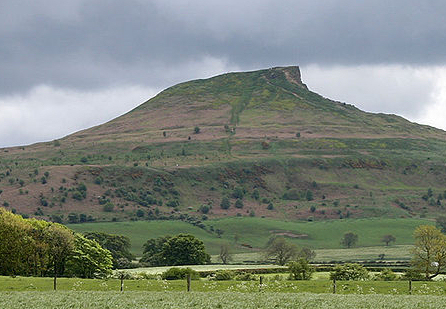 At 1049 ft (320 m), Roseberry Topping was traditionally thought to be the highest hill on the North York Moors; however, the nearby Urra Moor is higher, at 1490 ft (454 m).